Does the Honda Passport ring a bell to you? 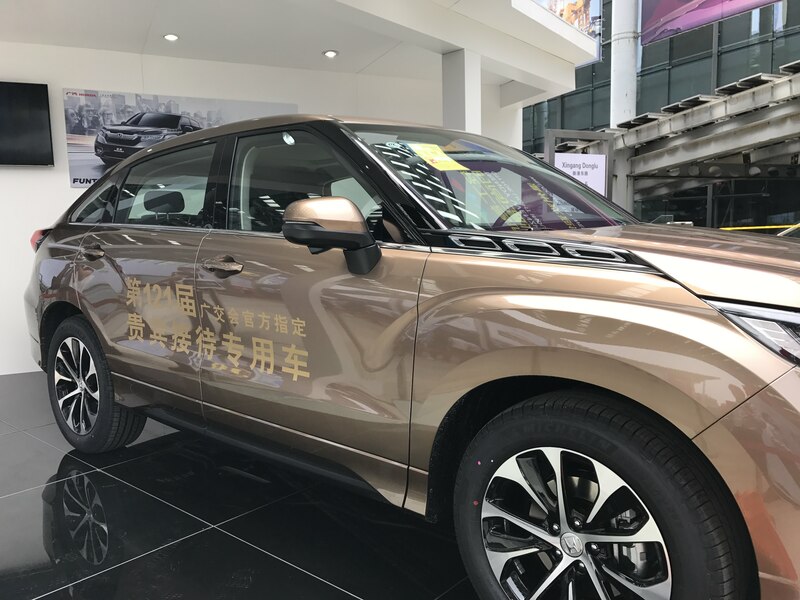 This was the first ever SUV that was sold by the Japanese automaker, but it was not that successful compared with other Honda models. Now the Japanese automotive company is planning to give the second life to the Passport. The first SUV of Honda was sold from 1993 to 2002, which was clearly a tuned version of the Isuzu Rodeo featuring a 3.2 L V6 engine that can produce up to 205 hp. However after a dismal performance in the global market it was eventually replaced by the bigger Honda Pilot. By far this was not the only talks of different automakers vying to revive new trademarks of their once famous SUVs. Chevrolet is going to give the Blazer trademark another chance, also the American company Ford will also introduce the Bronco name again to the global market. Lately there were talks that the Passport will have a second chance of redemption. Car and Driver stated in its blog that the Passport name was submitted by the Japanese automaker with the U.S. Patent and Trademark Office by last December. The application made a specific reference to the original trademark made for the Passport that dates back from May 11,1993. This fits well with the previous rumors that a smaller version of the Pilot would be introduced with only 2 rows - a vehicle that would fit like a glove in between the Honda Pilot and the current CR-V. This vehicle will be competing with the likes of Nissan Murano and Ford Edge. The production of the brand new shorter Pilot (presumably the new Passport) is rumored to commence at the Japanese automaker's Alabama factory in September of next year. If Honda's plan will proceed as scheduled, then the new automobile will likely be debuted next fall or early winter. The possibly new SUV will cost lesser than the recent Pilot, which has a starting price of about $31,535 and a $940 destination. However, it is expected that it would be more expensive than the modern CR-V, which bears a base price of around $24,985. What the Japanese automaker is targeting is to offer a larger room space that the CR-V but without the weighty price increase to the larger pilot. This pricing/sizing strategy is closely similar to that of the Hyundai's Santa Fe and the smaller Santa Fe Sport. The vehicle's powertrain options will have no significant change, it will still be built with a 3.5-liter V6 which can produce around 280 hp (208 kW) and 262 lb-ft of torque (355 Newton-Meters). The engine can be attached to either a 6 or 9 speed automatic as a base option. For now, there are still limited details surrounding the new Honda Passport: will the trademark even make its way to a production unit? Or is it just a concept car? Time will tell if this strategy will work out in the long run. manufacturers are doubling down on SUV's. this strategy will backfire eventually. I was about to type "coupes are dead." But that's not really true, as the current Mustang has sold a few hundred thousand units globally. But the market is a lot smaller than during the Prelude's heyday, when you could get a Camaro, a Mustang, a Celica, a 240sx, a Prelude, an Mx-6/Probe or Cougar/Thunderbird, not to mention various German offerings. How long until all manufacturers drop cars and start selling CUV/SUV's and pickup trucks only? I feel like I'm part of a dying breed. DSM's were probably the best selling of all the import (you can argue they were really domestic I suppose) coupes during the 90's. We knew Honda planned to bring back the Passport name, but now a new report claims to have some details on the upcoming model. The new two-row crossover is expected to slot in between the CR-V and the Pilot to compete with the likes of the Nissan Murano and Ford Edge. 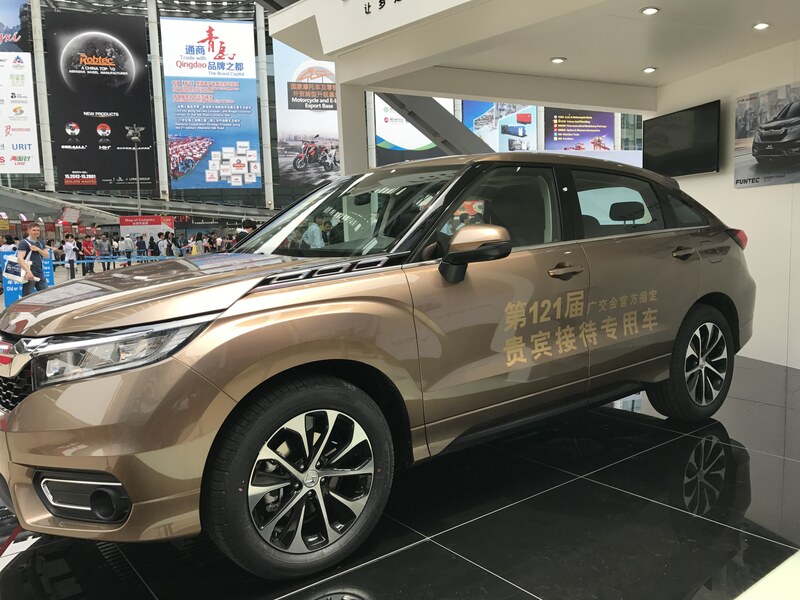 A person familiar with the matter told Automotive News that the automaker will show the new Passport at a Honda dealer meeting in November before it goes on sale in early 2019. The source also told Automotive News that the Passport will likely debut at the 2018 Los Angeles Auto Show. However, a Honda spokesperson said the automaker hasn’t confirmed any details related to the vehicle and that any specifics are just speculative. 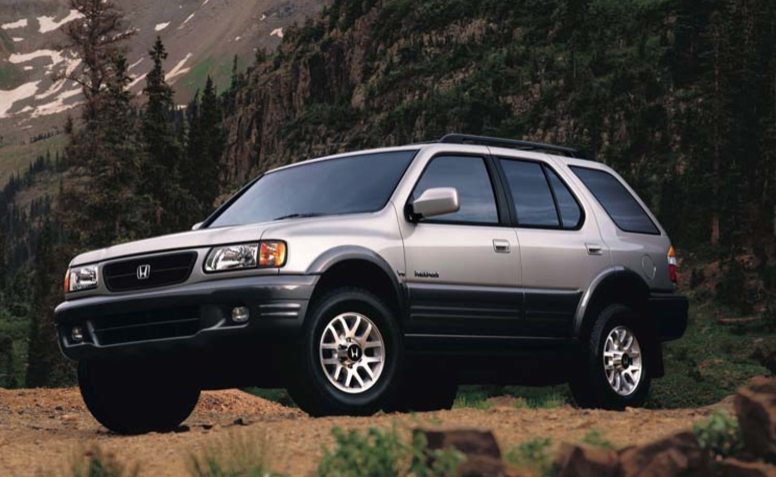 Originally produced from 1994 to 2002, the Passport was a rebadged Isuzu Rodeo. The new Passport, on the other hand, is expected to ride on the same platform as the Pilot but should be 6 inches shorter. It could be assembled at Honda’s Lincoln, Alabama plant, which produces three models: the Pilot, Ridgeline, and Odyssey. If confirmed for production, the Passport will be the fourth member of Honda’s U.S. crossover lineup alongside the HR-V, CR-V, and Pilot. That should give the brand more offerings in the U.S. market, which currently favors crossovers, trucks, and other utility vehicles. In 2017, Honda’s crossover lineup grew over 5 percent compared to 2016. Overall light truck sales increased by 4.2 percent while car sales fell by 2.5 percent. Last edited by Skylab; 01-31-2018 at 11:26 AM. Acura should bring back LEGEND name plate. Screw the Legend. Bring back the Integra. In-Line 5 with VTEC on exhaust and intake. badge for a new crossover to be slotted between the CR-V and Pilot, according to people familiar with the plans. The two-row crossover is expected to be about 6 inches shorter than the Pilot and compete with the Ford Edge, Hyundai Santa Fe Sport and Nissan Murano in the U.S. midsize crossover segment. Chevrolet is also set to field a new similar-sized crossover under the revived Blazer name. One person, citing conversations with dealers, said the new Passport will be shown at a Honda dealer meeting in November and go on sale in early 2019. It is also expected to be shown in November at the Los Angeles Auto Show. "We have not confirmed any details related to this product so any specifics would be quite speculative at this point," a Honda spokesman said Tuesday. The new Passport is expected to be based on the Pilot platform and likely will be built in Lincoln, Ala., where Honda assembles the Pilot, Odyssey minivan and Ridgeline pickup. Dealers have pressed Honda management for a near-premium crossover to rival the Edge and Murano. The Passport will give the Honda brand a fourth crossover in a U.S. market that has shifted considerably to utility vehicles and pickups. In 2017, U.S. sales of the Honda HR-V, CR-V and Pilot crossovers all grew more than 5 percent from the previous year in an overall light-vehicle market that shrank 1.8 percent, ending a streak of seven annual gains capped by record volume of 17.55 million in 2016. Overall, the Honda brand's U.S. light-truck sales rose 4.2 percent to 734,264 in 2017, while car deliveries dropped 2.5 percent. 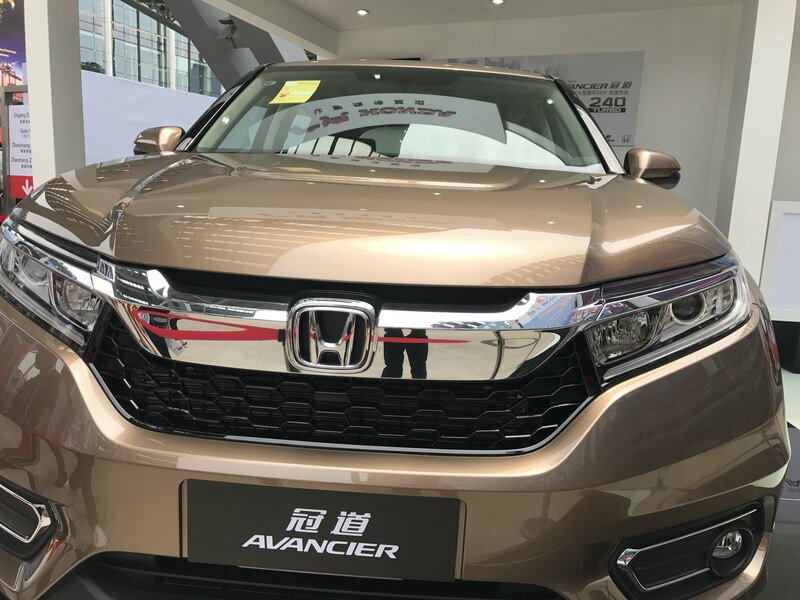 Honda Avancier or Passport ? Think the hood vents will make it ? To Chevy's credit, the Blazer drives like it looks—like it's trying to be the V-6 Camaro of crossovers. The Blazer is remarkably buttoned down and engaging to drive for the segment. Its V-6 is quiet and unobtrusive when you want it to be, but it wakes up when you open the throttle. Its nine-speed automatic is well tuned, too, with quick, decisive shifts. How well the Blazer goes around a corner is largely irrelevant to most family buyers. For the record, it handles quite well for the class, making it good for emergency dashes due to childhood calamities. And the same qualities that make the Chevy enjoyable to drive also provide a better ride. The Honda is most in its element when taking it easy. It feels bigger and softer and is at its best when cruising at a constant speed on the highway. At city speeds and when accelerating, its V-6 is neutered by its transmission; it shifts roughly at low speeds and is unresponsive when you need power. Its ride is on the stiffer side, minimizing roll and body motion with a slight ride-quality penalty. That allows it to handle rather well on twisty roads. But not as well as the Blazer. Despite Honda having a de facto home-court advantage at its own test track, like Duke struggling in Raleigh, the locale didn't help here. Honda makes a late comeback when you look inside. Being a slightly smaller Pilot, the Passport feels open and airy. All of the functionality baked into the Pilot, from its massive center console and door-mounted cupholders to its sliding rear seat and large cargo area, finds its way into the Passport. It's incredibly functional, if a bit forgettable. Unfortunately, the Passport inherits the Pilot's noisier cabin, clunky infotainment system, and rear doors that open only about 70 degrees, which makes it harder to fit a car seat. Despite having less interior volume than the Passport, the Blazer is remarkably efficient with its space. There's not quite as much storage in this sporty cabin, but up front Chevy provides the requisite cubbies for your phone and other knickknacks. Its roomy back seat offers a comfortable sliding and reclining heated bench with a flat floor helping ensure even the middle seat is usable. Rear doors that open nearly 90 degrees make installing a child car seat a breeze. Ultimately, when two competitors are this close, the winner comes down to the small details. The Honda Passport is slavishly designed around providing enough space for your loved ones and their stuff. But often these vehicles serve as work-commuters, too, and here Chevy pays more attention to the driver. Besides, when hauling the whole family, everyone benefits from powertrain refinement and sound deadening. Good family relationships often involve compromise, and that's what the Chevrolet Blazer does well. The Blazer is powerful, composed, and fun to drive while offering the latest in infotainment, a shockingly spacious rear seat, and creature comforts like heated seats and power ports for devices. Its stylish sheetmetal helps it stand out in a sea of lozenge-shaped crossovers. The Blazer is the family vehicle that actually appeals to the whole family, and for that reason it upsets the Honda on its home court. The Pilot is so homely it makes the Blazer actually look good in comparison. Last edited by heavyD; 03-11-2019 at 11:10 AM.